Hello! I'm back with my first post since the holiday and it was wonderful. I went out the night before with friends and we had a blast and Turkey Day was a FEAST at my in-law's. I hope you all had a wonderful day too! I honestly didn't know what I was going to do for this week so I literally started by coloring and image and built from there. I added in my kraft, of course. This time by stamping the "Snowy Greetings" sentiment on the background and added in my *snow* using white-ish felt and some snow glitter. At first, I only had the bear on the panel and the very last thing I did was add in his bear friend which I think looks like he's catching the snow that polar bear is throwing, right? I alternated the background with the two different blues from our palette; giving one texture and the other some stamped snowflakes. Is anyone surprised that I went with Chicken Girl here? It's so my favorite! Want to play along with us? Make a card or paper crafted project using this week's colors, upload it to your own blog or online gallery(using keyword CTD121) and then link it back to the Color Throwdown blog using the linky tool provided. It's that easy! 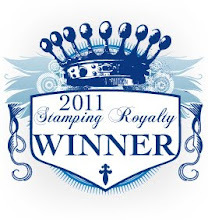 You could be our Featured Stamper of the week and earn a badge for your blog! 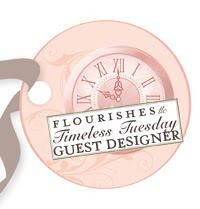 Please visit the blogs of our design team for ooodles of inspiration! What an adorable winter scene and just perfect with these colors! What a sweet winter scene! The embossing, snowflakes and fun chunky glitter with these cute images looks fantastic! 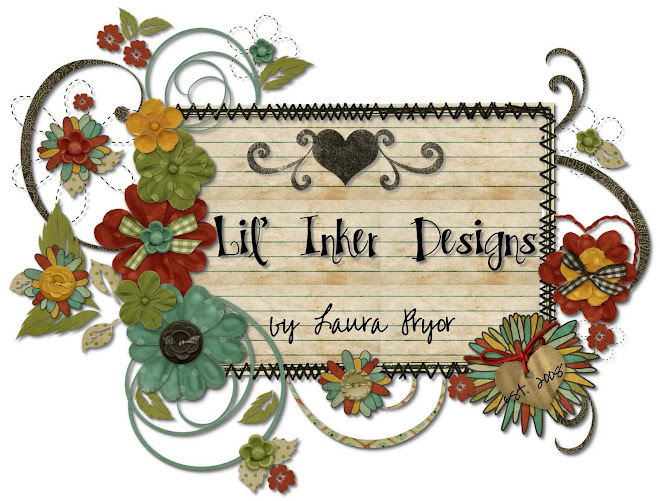 Cute as can be....I love your hand-stamped background! This is so stinkin' cute, Laura! Love your little bears! The stamped kraft background is AWESOME and I really love your glittery felt snow too! Aw, this is so cute! I love the felt ground and chunky sparkles! What a cute and fun card!!! TOOOO dang cute, girlfriend! You use those Chicken Girl stamps so perfectly, especially the wordy backgrounds you create! LOVE the snow, too!